I was in Kaohsiung, Taiwan for a week, for a business/work trip recently, while most of my days were dealing with work, I managed to get a day off to rest before returning back home to Singapore. 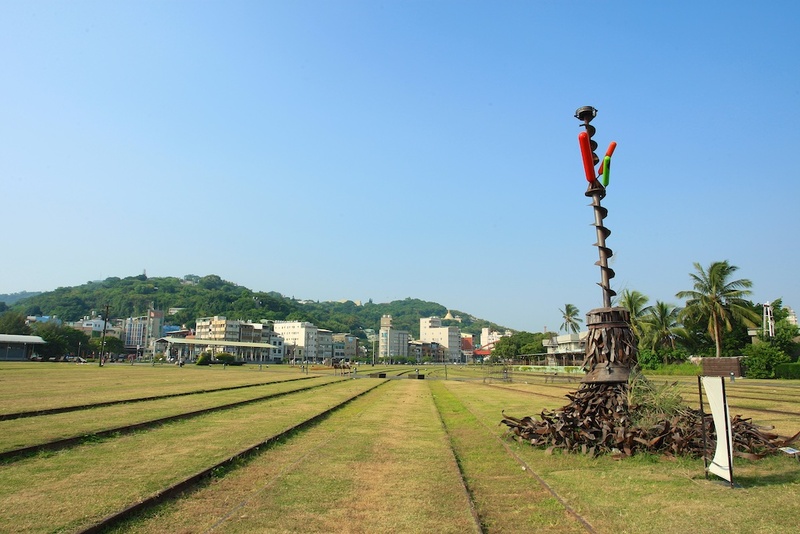 While the initial plan was to visit Taipei before flying back to Singapore, I decided to re-visit Kaohsiung, a destination that I last visited in 1997 and they were good memories! On my working days in Kaohsiung, my rest time in the night was spent on eating local food and resting at my hotel. The food in Kaohsiung is awesome and I am not doing enough justice to the wonderful and delicious Kaohsiung food with my humble collection of Taiwan food photographs! On my off day, re-igniting the backpacker traveler in me by using the metro subway system, tourist maps and lots of walking, I reckoned that I can get myself to some interesting places. Like my previous Taiwan trip years ago, I was deceived by the tourist map on the locations and distances (I didn’t activate data roaming overseas thus I wasn’t able to use my smartphone). It wasn’t so much about getting lost but more of like, I should have alighted at this subway metro station instead of this station! I discovered the beautiful Love River, nice place to walk and relax! 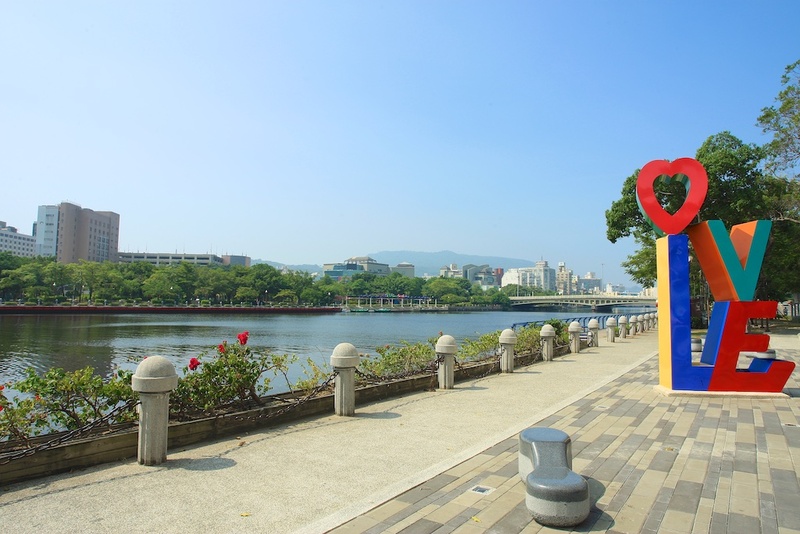 There are a number of bicycle friendly routes in Kaohsiung and you can cycle along the Love River! There was a location that I wanted to re-visit again and during my rest time at the hotel during the night, I finally found the name of the location, it’s called 西子湾, this was the location that I watched commercial vessels sailing in and out of Kaohsiung harbour in 1997. Before I got myself into this destination, I came out of 西子湾 subway metro station and discovered a train museum beside the entrance of the subway metro station. This was the Takao Railway Museum, I was amazed at how they preserved the railway station, history, trains, train tracks and the train yards. The former railway station and grounds were transformed and preserved into a beautiful garden, for leisure, historical, arts and conservation purposes. Do check out their Facebook Page for more details! The Takao Railway Museum is a good role model and example for our very own Rail Corridor in Singapore (Tanjong Pagar Railway Station and Bukit Timah Railway Station) and how Singapore can go about preserving our railway history, heritage, culture and conservation. I should be making some trips back to Kaohsiung again for business/work trips and would love to explore the Takao Railway Museum again! After exploring the Takao Railway Museum, I decided to explore and find my way around to my destination, 西子湾. 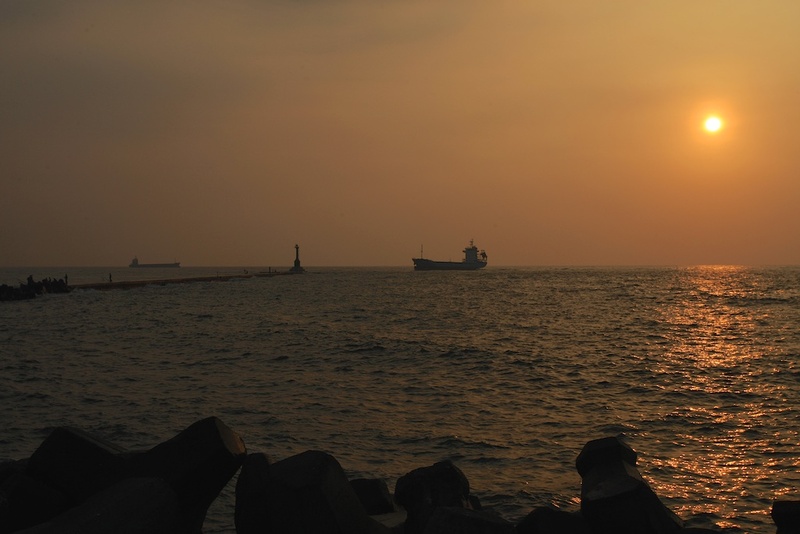 Walking along the coast line, I enjoyed the sea breeze and landscape views of Kaohsiung harbour. When I finally reached 西子湾, it was very different from the time I went in 1997, however, the view of the Kaohsiung Harbour is still the same with commercial vessels sailing in and out! I walked along the 西子湾 esplanade, enjoying the views, sea breeze and watching the sunset. I always enjoyed viewing sunsets in different parts of the world! The views were beautiful and I loved the sea breeze, strong waves hitting the breakwater and enjoying a peaceful time beside the sea. Many beautiful memories of Kaohsiung collected and gathered in my Flickr collection here! When I return to Kaohsiung for business/work trip again, I hope to have a bit more time and take more photographs and share my travel adventures!